BREAKING: 'The Force Awakens' Trailer Is Here! It's here!! It's finally here! The moment we've all been waiting for... the first trailer for Star Wars Episode VII: The Force Awakens has been revealed! What did you think? What was your favorite part of the trailer? Let us know in the comments below! 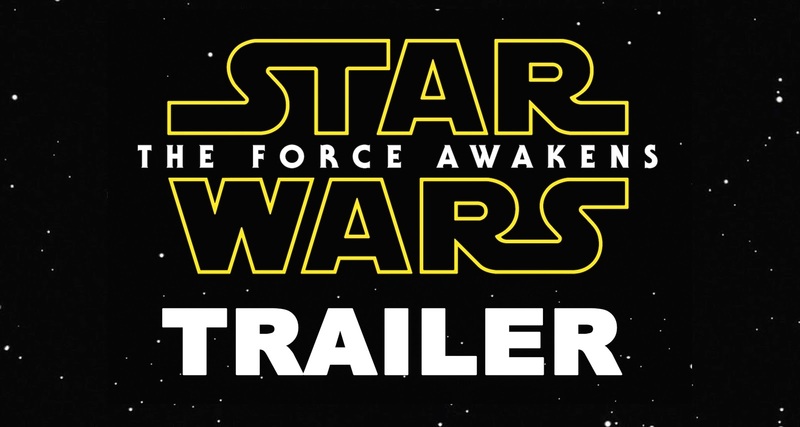 Update: The trailer has also been added to the official Star Wars YouTube channel! The Stormtroopers! So dark and badass! But who's voice is it? Goosebumos all over my body! The voice sounds like Benedict Cumberbatch. that's max von sydow's voice, isn't it? I loved the droid playing soccer! Seeing the millennium falcon in full flight AGAIN!!! The lightsaber must be some ancient version that belonged to a Sith Lord from the past. I like the look of the original ones better but would be acceptable if explained why it's different looking. @up the original Sith used (in Expanded Universe) no lightsabers, just alchemic swords. But now you get TWO canons. One you already know and love and one that is still a mystery. Those books aren't going anywhere. And are you really gonna complain that Disney is making new content instead of recycling old content? Because that sounds like a bass ackwards complaint my friend. I was expecting a little more. The lightsaber sword was cool, though. I had hoped to see some of the characters. This is the actual teaser. It was released a few hours ago via iTunes. Some ancient sith and jedi did have different types of light sabers. In The Clone Wars you see a black light saber with a high pitched sound used by the mandalorian Pre-Viszla and then Darth Maul. Viszla stated that it was stolen from the jedi temple by mandalorians during the old republic days. Also in TCW it looked like Darth Bane used an ancient type of light saber staff which can be seen in the concept art for season 6 on starwars.com. The light saber in the trailer might be ancient or maybe a new one. Is it me or does the voice sound like they used a filter on Benedict Cumberbatch? Never thought J.J would put him in there. Love the trailer. Did everything that a teaser is supposed to do. Makes me wait for the next trailer. It was awesome to see it in theaters, when the falcon appeared it erupted into cheers and claps. it doesnt smell like a Star Wars... i am sorry! It is Cumberbatch. No doubt. It's been confirmed Andy Serkis. I'm not sure if anyone else has noticed this, but the X-Wing pilot at around 0:45 has a flight suit on with some text on it in Bocce, it means nothing normally, but if you flip it upside down (this makes sense if the text is meant to be read by whoever is wearing it) the first word is PULL, and the second word I THINK is NFL....... can anyone help me out a bit here. It makes no sense that the first word is so logically perfect as "pull" while the second word is complete gibberish! I can't wait for the second trailer to learn more about the movie. December must come faster!! The narrator is Ken Watanabe.